The following is a list of the shortest players to ever play Major League Baseball. The shortest player in baseball history only appeared in one game as a publicity stunt cooked up by Bill Veeck. The stunt was a huge success, as people still talk about it today, and many people who were not even alive at the time know the player's name. 1. Eddie Gaedel - 3' 7"
The shortest player in Major League Baseball history was Eddie Gaedel, who stood 3' 7", and played in one game as a publicity stunt for the St. Louis Browns on August 19, 1951. Gaedel, who was a professional little person performer, was hired by Browns owner Bill Veeck to pinch-hit in the second game of a double-header vs the Detroit Tigers. Gaedel, who wore a uniform with the number 1/8 on it, was walked on four pitches as he pinch-hit for lead-off hitter Frank Saucier in the bottom of the first inning. Tigers pitcher Bob Cain, who couldn't stop laughing at the absurdity of pitching to a little person, tried to throw strikes to catcher Bob Swift, who caught the pitches while on his knees, for the first two pitches. Cain then just soft-tossed the last two pitches in for Gaedel's walk. After being walked, Eddie Gaedel bowed to the crowd twice while making his way to first base. He was then removed for a pinch-runner. Gaedel was paid $100 for the stunt, but went on to become somewhat famous, and made a lot more money doing public appearances for the rest of his life. Unfortunately, Eddie Gaedel did not live a long life. He died at the age of 36 from a heart attack, after he was beaten on his way home from a local bowling alley. Pitcher Bob Cain was the only person from baseball who attended Eddie Gaedel's funeral. T-2. Stubby Magner - 5' 3"
Stubby Magner, who stood 5' 3" tall, played in 13 games for the New York Yankees in 1911. Magner, a second baseman, hit just .212 in 33 at-bats. T-2. Bob Emmerich - 5' 3"
Bob Emmerich, another 5' 3" player, played in 13 games for the Boston Braves in 1923. Emmerich, a center-fielder and pinch-runner, batted .083 in 24 at-bats. T-2. Jess Cortazzo - 5' 3"
Shortstop Jess Cortazzo had one pinch-hit appearance in the major leagues for the Chicago White Sox in 1923. Cortazzo did not get a hit. T-2. Yo-Yo Davalillo - 5' 3"
Shortstop Pompeyo Antonio Davalillo, nicknamed Yo-Yo by teammates, played one season in the major leagues for the Washington Senators in 1953. Davalillo hit . 293 in 58 at-bats. His younger brother Vic Davalillo, who was 5' 7" tall, played in the majors for 16 years. T-2. Mike McCormack - 5' 3"
Third baseman Mike McCormack played one season with the Brooklyn Superbas in 1904. McCormack batted .184 in 347 at-bats. Outfielder Wee Willie Keeler played in the major leagues for 19 years. He hit .341 and won two batting titles, and was inducted into the Baseball Hall of Fame in 1939. Keeler is the shortest player in the Hall of Fame. Shortstop Rabbit Maranville played in the majors for 23 years and was inducted into the Baseball Hall of Fame in 1954. Freddie Patek played shortstop for the Kansas City Royals for 14 years from 1968 to 1981. Jose Altuve is the only active player on this list. Jose won a batting title in 2014 playing for the Houston Astros. Hack Wilson holds the major league record for most RBIs in a season with 191. Wilson was inducted into the Baseball Hall of Fame in 1979. 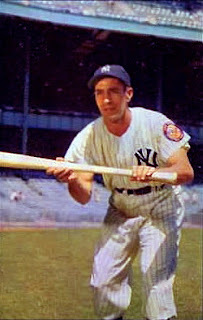 New York Yankees shortstop Phil Rizzuto won the American League MVP Award in 1950 and the Scooter won seven World Series with the Yankees. Phil Rizzuto was elected to the Baseball Hall of Fame in 1994. Miller Huggins was inducted into the Hall of Fame in 1964. Joe Sewell was inducted into the Hall of Fame in 1977. Billy Hamilton, who holds the MLB record for most runs scored in a season with 198 in 1894, was inducted into the Baseball Hall of Fame in 1961.